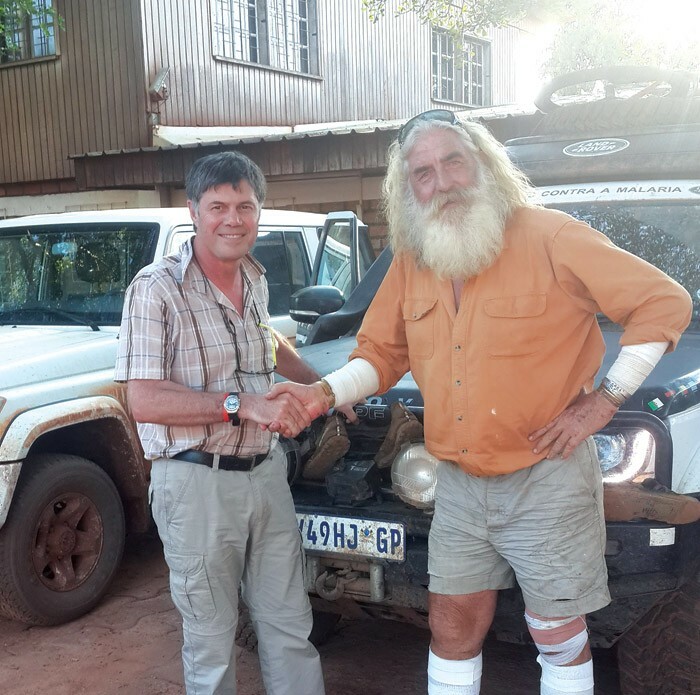 The author meeting the legendary Kingsley Holgate in the Congo. 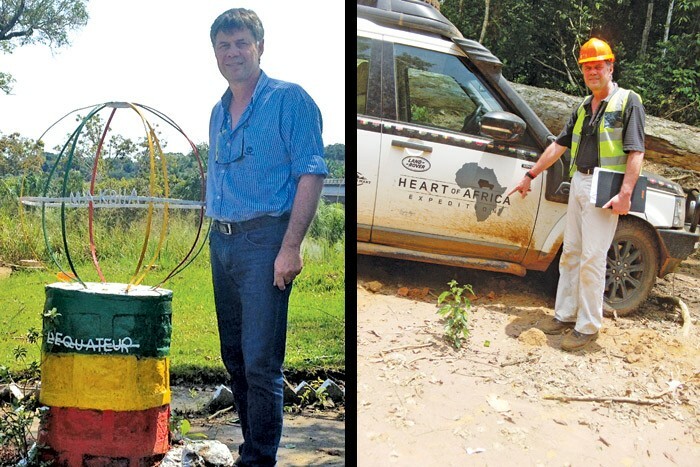 While on assignment in the north of Congo in October, I came across the vehicles of one of Africa’s most travelled explorers, Kingsley Holgate, who is on an expedition to find the ‘Heart of Africa’. The journey kicked off from South Africa and has now ended up at the geographic centre of the continent three months later – approximately 3 200km from where it started. The destination is a very specific spot, located in one of the FSC-certified natural forest concessions of CIB in the north of Congo. Holgate’s team was on the last 20km walk to the spot when I found their vehicles in the concession area where I was working. A team of scientists at University of Cape Town’s Department of Environmental and Geographic Science determined Africa’s geographic centre. This same process has been used to determine the geographic centres of the United States of America and Australia. Michal Brink in the heart of Africa. The fact that the ‘heart of Africa’ is beating in an FSC-certified concession is significant with regard to the symbolism of responsibility and stewardship that the FSC represents. The geographic centre point in itself is symbolic and it is my wish that the FSC-certified ‘heart of Africa’ will pump a message of responsibility and hope through the veins of Africa – from the most northerly point – Ras ben Sakka in Tunisia, to the most southerly point – Cape Agulhas in South Africa, – a distance of approximately 8 000km. May this heart specifically beat to protect the forest resources of our continent! Michal Brink – CMO, Director, Innovation.